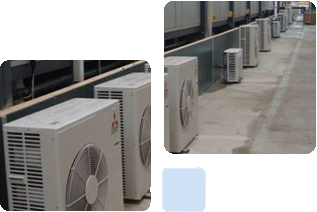 Alcool Air Conditioning Ltd was established in 2010 and has since grown rapidly throughout the Yorkshire area. The company was built to advise, consult and generally assist customers in making the right choice in air conditioning. Alcool Air conditioning offers a complete service from impartial advice in choosing the right system to professional installation. We offer consultation, design and free quotations along with our services which include domestic and commercial installations, maintenance and servicing to all our own installed products and those of others. We deliver a professional, bespoke service right from the initial consultation and free quotation, through to the speedy and clean installation, followed up by the maintenance and service of your units. If you already have air conditioning installed we are also able to maintain and service the systems for you. To ensure we find the right package for you we offer a wide range of cooling and heat pump air conditioning systems from trusted manufacturers including Mitsubishi, Fujitsu, Toshiba, Daikin and LG. Most importantly we are committed to supplying the right product at the right price. We have built an outstanding reputation in the air conditioning industry and have developed through referrals and repeat business. We are an approachable company and never lose sight of the customer’s expectations and requirements. We provide a total package including fully skilled engineers, fully equipped service vehicles, comprehensive technical backup, plus the unparalleled advantage of experienced and friendly staff to make it all happen. For any advice or assistance with regards to any air conditioning /refrigeration requirements you may have, please do not hesitate to contact me.